Pixel Art Pack containing a complete environment for your #gamedev. 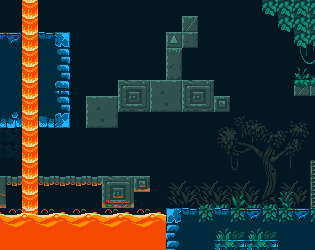 The pack contains Tilesets and Sprite-sheets and some animated sprites. This is an extension of the original Grotto Escape Pack. Its not an app, they are assets. So should be available for any platform.